Woah, glittery goodness! This Mint Polish is quite sparkly and it looks so good on Manon's beautiful nails. Funny, I remember talking to Maria from Hypnotic Polish about this shade, and she described it as a "gezellige" color. The word gezellig is a typical Dutch word and we use it all the time. It's really versatile in use, for instance when someone asks you to go shopping you can answer "yes, gezellig!" or when someone asks you how your day was you can say "it was very gezellig". It doesn't necessarily translate as fun but it comes closest I think. Google Translate says that gezellig translates to cozy. Also not fully covering it, lol. More glittery goodness :D! This is BSOD from Pretty Serious Cosmetics - such a gorgeous shade of blue. On your nails that is, not on your computer screen ^^. Swatches & Review - The Cirque Heritage Collection! Friday Swatches & Review - The Cirque Heritage Collection! Ugh, this flashback is FULL of shades I really need to wear again. I mean, how gorgeous is this periwinkle holo from Cirque Colors? It's called Sky Woman and there are 6 more beauties included in the review :-). What did I just say about shades I need to wear again..? Yeah, same goes for this beauty! 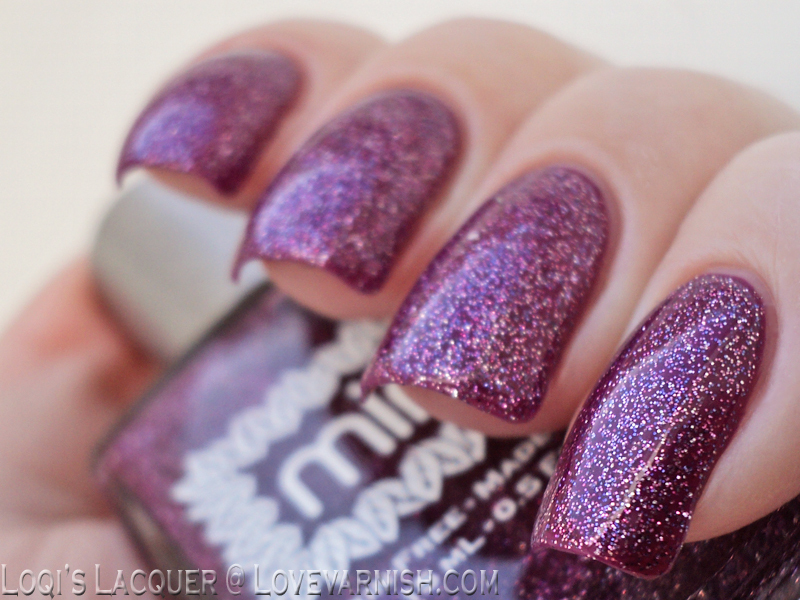 Look at that shimmer ♥. Just look at it! That Cadillacquer shade is STUNNING! Wow. I'm going to need all of these! Like now haha. So many beautiful polishes! Oh wooow! These are all so pretty! Especially the Cirque periwinkle, whoaaa!!! Right?! I so badly need to wear it again. Aww, thanks girl! Glad you like them, makes it even more special :). You should dig it up! :D go grab them lol! :D you're welcome girl ;-). Ha, that's cool! Thanks Kerry.